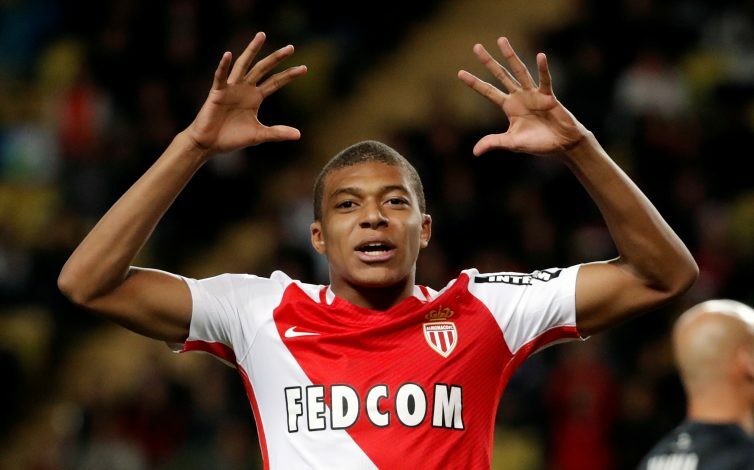 Monaco sporting director Antonio Cordon has confirmed that young starlet Kylian Mbappe does have a release clause in his contract. Kylian Mbappe has been in sensational form for the Ligue 1 outfit all season long, and he continued his goalscoring heroics in the Champions League last night, as he bagged a goal in Monaco’s 3-1 win over Borussia Dortmund to send his team through to the semi-finals of the competition. Thanks to his goal on the night, the Frenchman also became the first ever player to score in his first four Champions League knockout games. Brimming with confidence, the youngster then claimed that he, along with his teammates, is now ready to face any club in the next stage of the tournament. “What more could you ask for than to be in the semi-finals? – Well, I suppose we could be in the final. I don’t mind who we draw next; in the semi-finals there’s only huge clubs and we don’t want to avoid anyone,” Mbappe stated in his post-match interview. However, given the lethal form all the Monaco players are enjoying at the moment, every club will be happy to avoid Mbappe and co. in the semis, including Real Madrid – a club that is rumoured to be enormously interested in securing the young striker’s services in the upcoming summer transfer window. And when asked if the 18-year-old was good enough to play for the La Liga giants, the director said: “Only time will tell. There are many factors to consider in order for a player to succeed. He is still very young. We will see what happens this summer – we expect it to be a long one. Cordon’s comments will surely have alerted a host of European giants interested in the player, and given the financial resources the likes of Real Madrid and Manchester United possess, the two powerhouses are sure to battle it out for Mbappe’s signature come summer.